Central Reform Congregation, 5020 Waterman Blvd. 7:30 p.m. Thursday, April 4. Admission is free. Call 314-342-8062 for more info. 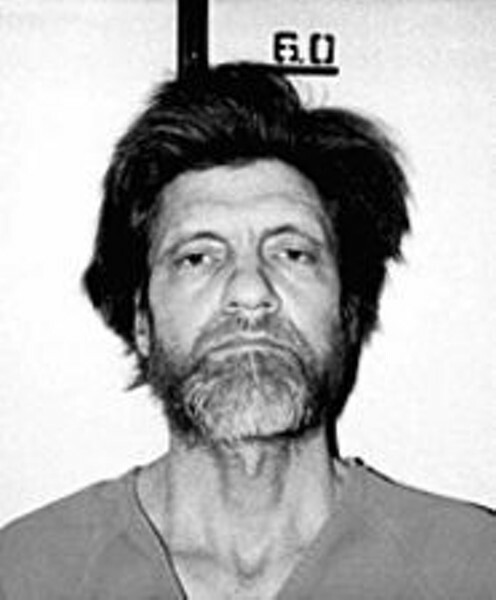 In 1996, David Kaczynski had to make one of the worst decisions anyone could imagine: whether he should come forward with his suspicions that his brother, Theodore "Ted" Kaczynski, was the Unabomber. Kaczynski says he had long been opposed to the death penalty but that six years ago, "obviously it became a real struggle for me when I had to make the decision about what to do about my suspicions about my brother. It made the stakes of turning him in so much higher. The ethical dilemma was to weigh the potential harm to innocent people if we did nothing against the potential that he might be executed -- so whatever decision was made could lead to somebody's death. "I think I felt even more strongly about the death penalty than I had before when I saw how the justice system dealt with my brother's case," he explains. After Ted Kaczynski's arrest, a federal prosecutor spoke with David and his mother about Ted's mental state, says David, and "I was very encouraged by that, because I thought he was looking for a reason not to seek the death penalty." David says his naïveté was shattered when the government next brought in a psychiatrist often called as a witness in cases in which the prosecution seeks the death penalty. (That doctor, Park Dietz, was also used by the prosecution in the recent trial of Andrea Yates). "They were trying to win," he says, "and winning was defined as putting my mentally ill brother to death and, in effect, making me at least in part responsible for that." As it turned out, Ted tried to fire his lawyers, was denied that request, made a suicide attempt and underwent a competency hearing, all of which tried the patience of the prosecutors. "I think the prosecution would have been very happy to send him to his death if they could have looked good doing it," says David, "but it was becoming a public embarrassment for them, and they were losing control of the process." Ted is serving a life sentence with no possibility of parole. The ordeal was a major factor in David's finding work as a full-time campaigner against the death penalty. Last year, the former mentor and counselor for runaway and at-risk youth accepted a position as the executive director of New Yorkers Against the Death Penalty. He oversees a collection of regional New York chapters dedicated to abolishing capital punishment and makes frequent speeches on his views, telling what he calls the "personal story of my family's journey through the criminal-justice system." "We [David and his mother] were trying in a very human way to figure out what we should do [about Ted], and I don't think the Justice Department ever spent time deliberating what it should do. There was no conscience engaged there, there was no Solomon -- it [criminal justice] is set up as an adversarial process, and I think people tend not to understand that." David reports that Ted, who is confined to his cell 23 hours a day, refuses to respond to his brother's and mother's correspondence. Why did he embark on the murderous path that landed him in prison? "I don't think it was impulsive," David says. "I think it was a downward spiral that brought him to a very desperate vision of the world and of his place in it."